At Link & Smith, P.C., our law firm that specializes in assisting people who have been injured because of the fault of someone else. We help our clients recover lost wages, medical bills and general damages (“pain and suffering”) to compensate them for having been through the situation that caused the injury and the for having to go through the healing process. In certain cases we also help our clients recover funds to be used for future medical treatment. Often the question arises: Will my case settle before trial? And the answer in most cases is yes. In fact, many cases settle before suit is even filed. In general, the more complicated and involved a case is, the longer it will take. Also, we make it a point to wait until our clients have completed their medical treatment before we start settlement negotiations. We do this because we feel it is our obligation to have a complete understanding of our client’s medical condition and any future medical needs when we discuss settlement. 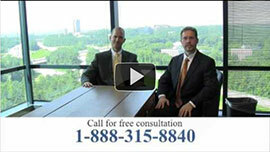 If you or someone you know needs a lawyer, it is best to contact us as soon as possible. Investigating what happened, whether it be a car wreck, slip and fall, tractor trailer collision or dog bit, is necessary in all cases. The sooner we can begin to investigate, the more evidence we will be able to find, collect and secure. Sometimes the animal’s owner can be charged with responsibility for animal bites and attacks, and sometimes the law does not allow it. These types of cases are highly fact-specific and can sometimes turn on city codes and ordinances. Many of our clients are injured in car accidents because another driver failed to obey the rules of the road. Common causes of collision include following too closely, speeding, texting while driving and drunk driving. If the wreck is caused by a drunk driver, we help our clients make a claim for punitive damages in addition to medical bills, lost wages, and pain & suffering. Tractor Trailer accidents often result in serious injuries to the occupants of cars. Tractor trailers are so large and heavy that even what appears to be a minor accident can produce much more damage than expected. Landlords, homeowners and business owners are required under Georgia law to take certain steps to keep their premises safe for visitors and guests. Improper maintenance and improper security often cause injuries to visitors and guests. In Georgia, when a person dies because of the fault or negligence of another, the remaining family members have a legal right to pursue a claim for wrongful death against the responsible party. Normally the person with the legal right is the surviving spouse, or children if no spouse, or parents if no spouse or children. Our firm’s lawyers work closely with lawyers who specialize in worker’s compensation claims. Additionally, some employees who are on the job and are injured by the negligence or fault of a non-fellow employee have legal claims against the non-fellow employee as well as within the worker’s compensation framework. Both Mark Link and Houston Smith are involved in the legal community as authors, seminar speakers and as members of legal organizations. Mark Link is the co-author of Punitive Damages in Georgia and Georgia Law of Damages published by Thompson Reuters. Houston Smith authored Soft Tissue Injuries in Georgia also published by Thompson Reuters. Mark Link is a member of the Million Dollar Advocates Forum and American Association of Justice, and Houston was selected for inclusion in the Georgia Trend magazine’s Legal Elite for 2012.